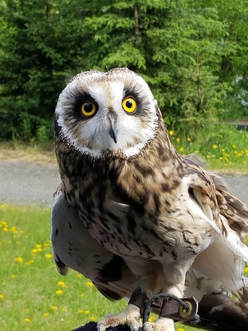 Our education program volunteers will bring live, wild, non-releasable birds to schools, tourist venues, public events and to individuals for $75 per bird in area. Bird handlers will present information on the bird, its story, what it's like to be a handler, general species information, and Q&A. Submit the Online Program Request Form and you will be contacted. Or, contact us at 907-892-2927 or education@akwildbird.org for further information. Click here to learn more about our Ambassador Bird Program. Zeke is a male Great Horned Owl. He was injured in 2001, already a full adult, making it impossible to determine his age. 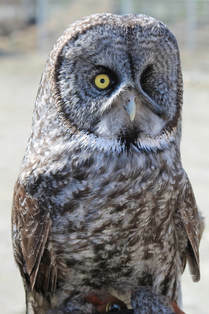 He began his career as an education ambassador with Bird TLC in Anchorage,then transferred to AWBRC when founded in 2006. His age is beginning to show, so he has retired to a life of luxury at the center. 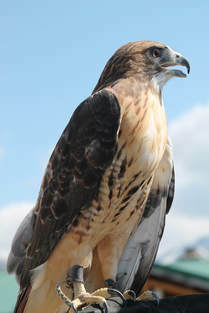 On April 19, 2018 we said good bye to Goldie, our Harlan's Red-tailed Hawk. At nearly 28 years of age, she was quite old for her species. 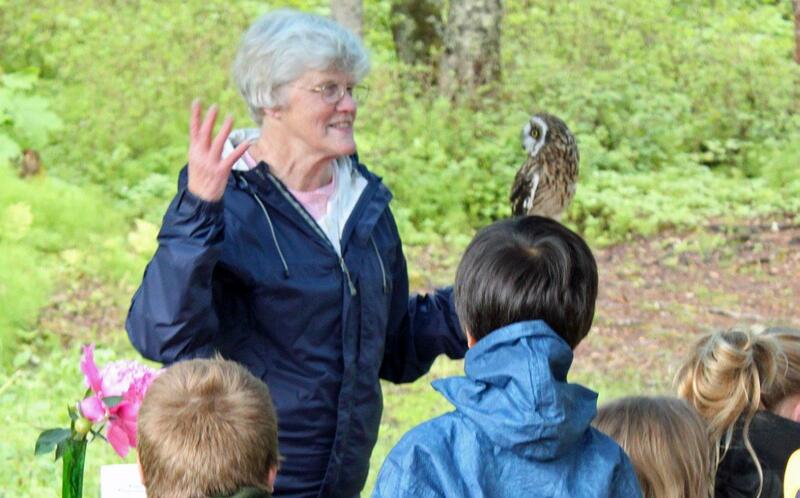 After retiring from her first career with a falconer, she transferred to AWBRC as an education ambassador, wowing audiences with her gentle demeanor and impressive attitude. We will all miss her. Fly free and wild, Goldie.